In the political world today there are so many questions about what is real and what is fake. But sometimes, what may look fake isn’t actually so. Take news anchor Rick Garcia. 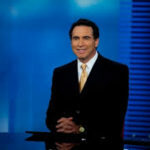 Garcia, a Los Angeles native, began his broadcasting career in 1979 at KAVL-AM in the Antelope Valley. Eventually, he became an anchor with the Los Angeles KCOP News 13 and with Fox 11’s 10 o’clock news sports segment. It might, therefore, be confusing if you happen to be watching one of many movies where you see Rick Garcia as a news anchor. But you could, indeed, have this experience if you were to watch the movies Nightcrawler, Collateral Damage or Shadow of Doubt or if you were to tune in to television shows such as Code Black, Scorpion, Rock Me Baby, Buffy the Vampire Slayer or even 24. Rick Garcia’s real world news reporting intersects here with Hollywood, as he reports the news in these many shows. Certainly, these intersections are true for many others as well. NBA star Kyrie Irving has made a second career for himself as the well-known character Uncle Drew. Kids flock to see his movies and appreciate the multifaceted ability of the basketball champ to also make them laugh.